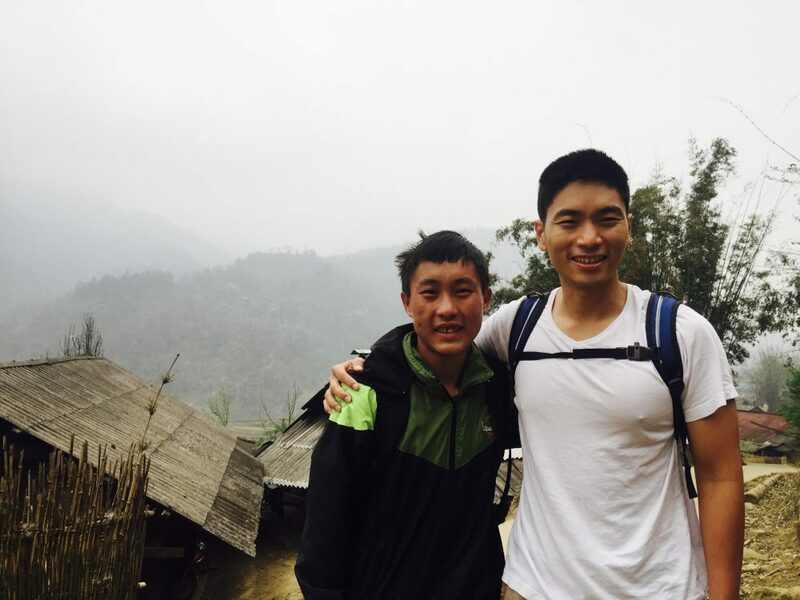 In early 2016, I decided to climb Fansipan – the highest mountain in Indochina. I was led up the mountain by Pe, a member of a minority tribe in Sapa, Vietnam. 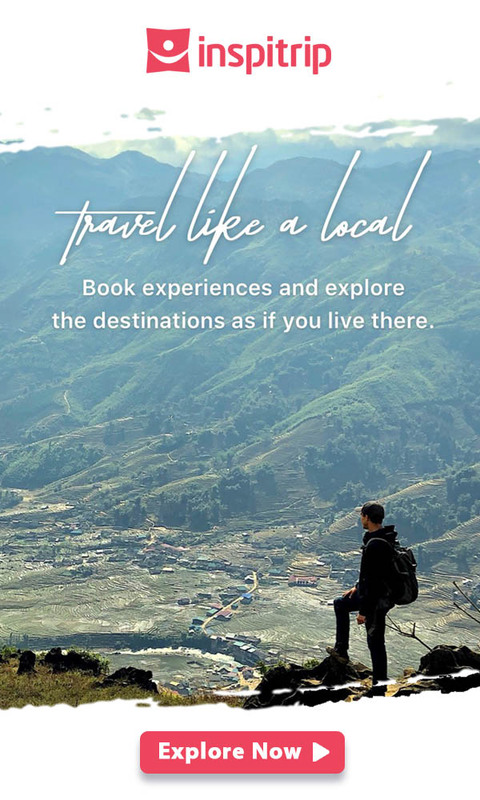 What happened after our trip continued to shock yet inspire me enough to eventually create Inspitrip, a platform connecting travellers with locals for personalised and off the beaten path experiences. Inspitrip has been set up to empower local communities and make travelling more authentic and meaningful. I arrived at Sapa with a very clear goal: reach the summit and climb down as fast as possible. I booked a guide with the help of a local agency in town. In the morning, I had the chance to meet my guide for the first time. His name was Pe. To my surprise, he was just a local student with a slender figure. He looked even smaller when he helped me carry my giant backpack filled with 10 kilograms worth of food and water. It took us about 12 hours to climb the entirety of Fansipan. We were extremely exhausted, and I could not have done the climb without Pe’s assistance. After our climb, I decided to invite Pe out for a dinner at a nice restaurant in town. Although he was a bit reluctant, he finally decided to join me. At dinner, I asked him how much of the $300 he received from my booking with the agency. To my disbelief, Pe said he only earned $15. What he told me next, however, was heartbreaking. Apparently, Pe accepted such a low and seemingly unfair payment because he really wanted to earn some money to help his poor family. As a guide, he had the opportunity to connect with foreigners in order to improve his English. He wanted to teach English to the kids in his community, as he could see how that knowledge would change their lives. Pe seemingly had no other means to learn English without working as a freelancer for agencies in town. For me, the system seemed broken, and I knew it needed to be changed. That being said, I had an amazing time in Vietnam because my relatives who reside there were able to show me around. My experience was completely different than that I had had in Thailand because a local showed me the country in a way I would have been unable to do on my own. Unfortunately, not everyone has a friend residing in the country they wish to explore. By having a platform where you can book a local, however, travellers can see a country through the eyes of a local on a user-friendly platform. One of the biggest reasons I created Inspitrip was to empower local communities. When I travel, I want to have a unique, local experience as well as contribute to the community in which I am exploring, especially those communities found in developing countries. Travellers do not realise how far their money can go in a developing country. Our average tour in Southeast Asia costs $100, and this amount can help a local student, for example, accomplish half a semester of public university in Vietnam. They worked incredibly hard, yet some made as little as $1 an hour. That being said, this salary, which is incredibly low, was more than what other locals were making in town.What I am most passionate about is that the money we make from a booking goes directly to the locals and helps them bring in an extra income yet still have flexibility in their daily routine. Inspitrip has received bookings since day one of our launch. We have received a lot of positive feedback from our customers. While there is always room for improvement, we are proud to have introduced so many travellers to unique, local experiences that they would be unable to find elsewhere. We pride ourselves in having contributed to the empowerment of the local community. Last but not least, we are proud to have done something to expose the hidden issues with the tourism industry and have thus given our local guides their fair share of a booking which is what they truly deserve. And that’s how I found Inspitrip. How about you? I would love to hear your thoughts!